Take control of the planet defender, the starship that protects the earth from an asteroid attack. While your ship is impervious to asteroid impacts, beware of the UFOs that can destroy your ship, evade their shots while destroying asteroids. Move in the planet orbit using the left and right keys (A and D work as well). 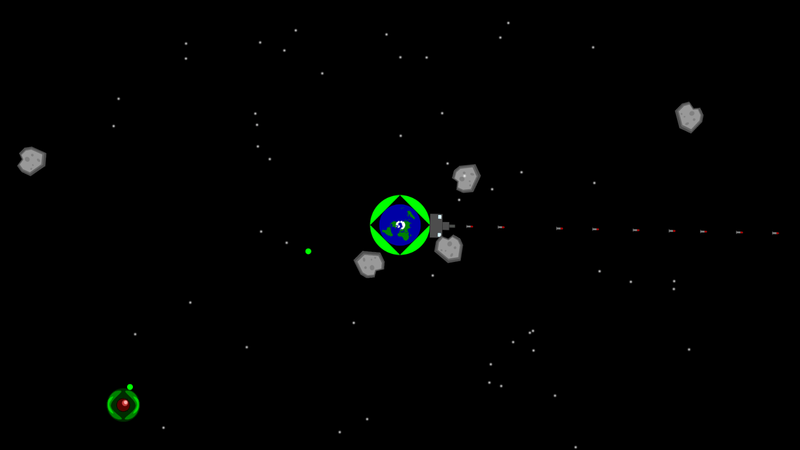 Fire your missiles to destroy the asteroids with the Fire Button (Default Ctrl and Left Click).